If you ever go to Europe, be sure to knock on some interior walls. Every one that I’ve checked out has been solid masonry – no hollow sounding, noise transmitting frame walls. They use so much more masonry across the Atlantic than we do here in North America, even in regions that get colder and hotter than we do. Masonry makes for substantial, sound-resistant and long-lasting results, and I must admit that I feel jealous. While there certainly are situations where non-masonry building materials make the most sense, here are four reasons I keep thinking we should be using more masonry in homes and renovations here in North America. I built my first masonry exterior walls, and they still look brand new today. You can see some of my work here to the left. I love masonry – especially working with stone – and one reason is long life. Five, ten or even fifteen decades is nothing compared with the working life of properly built masonry. Not many other exterior wall materials can compete with good brick, decorative block or stone. A poured concrete foundation is still the industry standard for strength and durability. Natural stone is the king of building materials and always will be. One thing I often wonder about is this: Why is there such a difference in “masonry consciousness” between North America and other parts of the world? One reason is our building heritage. A hundred years ago the place where my homestead and workshop sits was virgin wilderness. A pioneer family named Taylor spent their entire lives dealing with a vast over-abundance of wood on their land. This is the same story across much of this continent, and our once-upon-a-time abundance of wood is why we have a heavily wood-based building culture today. But times change and the building business is following. 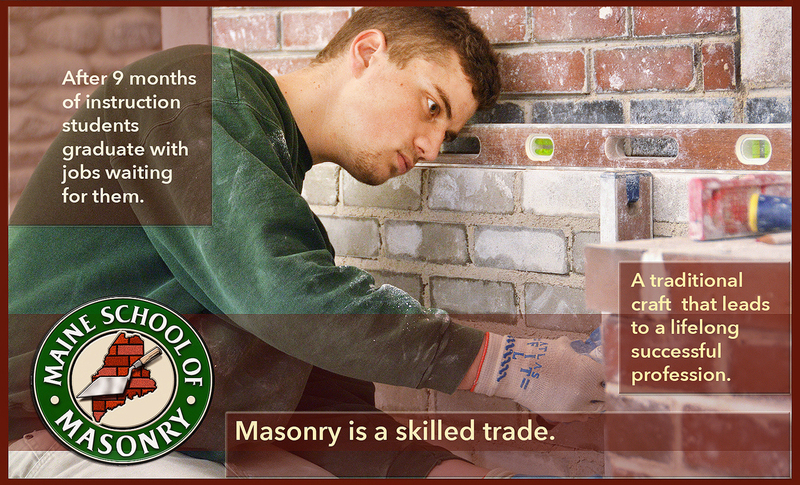 That’s why masonry is slowly getting more common. I’m glad to see it. The great places of the world are all made with great materials. But we live in a time when the prominence of quick-and-dirty consumer goods is on the rise. Ultimately this trend is fueled by the fact that too many people like low prices way too much. But isn’t it also true that paying up front for quality is actually the most economical way to live? I’ve certainly found this to be true. You not only get lower per-year costs, but you enjoy more beauty along the way. A place called Niagara-on-the-Lake is a case in point. It’s in Ontario, the Canadian province where I live, and Niagara-on-the-Lake is a major tourist destination. There’s lots of masonry in this classic town, and beautiful masonry buildings are one example of how an investment in masonry keeps paying off. Would people come from around the world to marvel at a town filled with plastic-covered buildings? The home on the left survived a hurricane that leveled most of the surrounding neighborhood. It’s no surprise that this place is also made of masonry. Whether or not you believe that destructive weather events really are on the rise, if you’re interested in a home that can stand up to anything, masonry is hard to beat. Disaster-resistant housing is a trending feature because more and more people want the security it offers. Part of this is demographic. As the population ages, physical security and solidity becomes more valued. Insurance companies are big players pushing for stronger, more disaster-resistant homes. Built properly, a disaster-resistant masonry home can withstand the kind of severe weather events that regularly destroy non-masonry structures. In fact, this happens all the time. Not every homeowner believes they can afford exterior brick at $16 to $18 per square foot, compared with economy siding at $4 per square foot. But the notion of “affordability” is a strange idea. The reality is more like “priority” than affordability. Even young families starting out 50 or 60 years ago decided they could afford brick. My grandfather lived in masonry houses his whole life even after being wiped out financially by a medical disaster that happened before Canada got government healthcare. The first house my parents bought was brick even though they lived with my dad’s parents for three years to save up a down payment. The fact is, even for people who look at homes as investments only, masonry still makes sense. Yes, it costs more up front, but this higher cost also translates into more money when it comes time to sell. And since masonry continues to look new for many years longer than any other building materials, the long-term pay-off is actually higher. I don’t know if any of these thoughts make you more likely to consider masonry for your next addition or if you ever have a new home built for yourself. All I do know for sure is that masonry has got to be one of the most under-appreciated, time-tested building options out there. And no matter how many times I knock on an interior wall in Europe, I still feel the same twinge of envy.